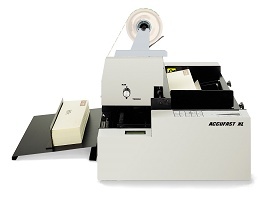 The XL has formed the basis for additional specialization, the most common of which is a roll adapter to handle stamps. The stamp kit is a bolt on kit that can be added to any plain XL. 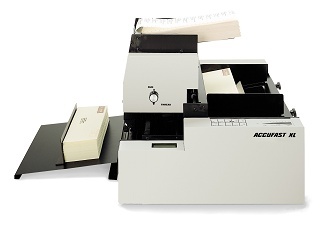 It swiftly and easily installs and when done, transforms the XL into a stamp affixer.